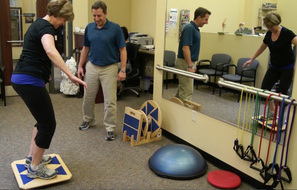 BRPT Therapy Services - Body Renovation Physical Therapy, S.C.
Our therapists go beyond the traditional passive and equipment-based modalitites most clinics rely on. 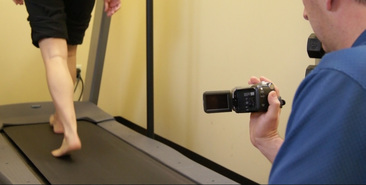 Our extensive education in hands-on therapies like tissue mobilization, traction, muscle activation, taping and/or stretching, allows BRPT therapists to diagnose restrictions in muscle, joints and deep connective tissue. Then, based on your needs, therapists can integrate those therapies to re-educate musculature and the nervous system, helping your body work appropriately and efficiently. stimulates myofascial "trigger points" to help manage neuromusculoskeletal pain and movement impairments. and inhibit progress in therapy. Targeting these trigger points can elicit a reflexive response, known as "twitches,"
to help break the pain cycle. 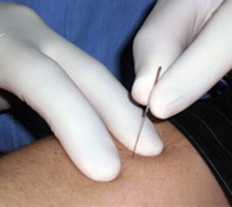 In conjunction with other therapeutic techniques, trigger point therapy can be an effective treatment for pain and restoration of movement. Functional strengthening refers to strengthening muscles groups by taking cue from the tasks we would expect to use them in. Everyday activities like sitting in a chair, climbing stairs, picking up a child or reaching overhead for a tool can be mimicked, correctly modified and strengthened in therapy to make you stronger, faster and more consistent. Studies show this type of training helps your muscles establish the appropriate neuromuscular patterns to improve performance and reduce future injury in each activity. return to your daily activities. A balance problem exists when an individual has difficulty maintaining a stable and upright position. A range of factors can cause balance problems, including muscle weakness or joint stiffness, sedentary lifestyle, inner ear issues, medication or simple aging. BRPT therapists can help reduce falls risk and fears of falling by improving mobility, balance, strength, flexibility and posture.